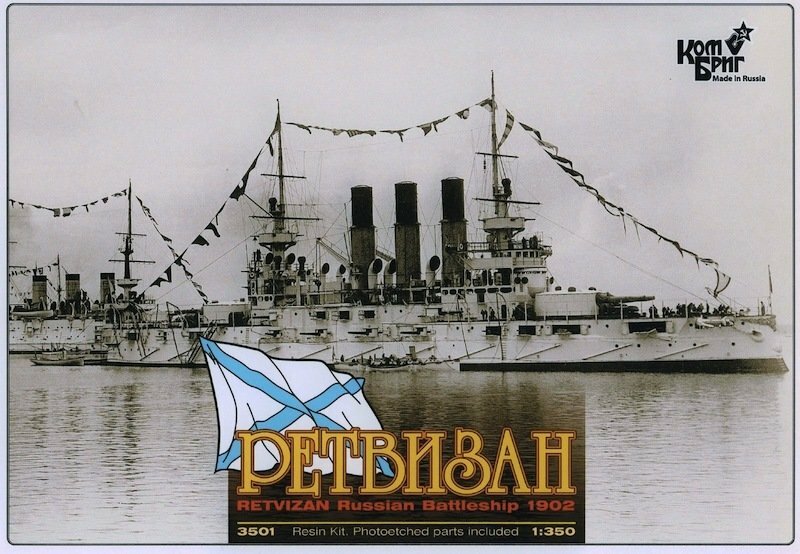 Retvizan (Ретвизан) was a Russian Pre-dreadnought battleship which built before the Russo-Japanese War of 1904–05. She was unique in that many of her components and their actual fabrication was done in the United States for the Imperial Russian Navy. Much of her side armor was forged by the Bethlehem Steel Corporation, and she was built by the William Cramp and Sons Ship & Engine Building Company of Philadelphia. The armament was made at the Obukhov works in St Petersburg and shipped to America for installation. Throughou her Russian service the ship was commanded by Eduard Schensnovich. The ship had extensive trials in America before delivery to the Baltic where she took part in a Naval Review in Reval staged for the State visit of Kaiser Wilhelm II in August 1902. The Retvzan was transferred to the Russian Pacific Fleet in late 1902 sailing in company with the Russian battleship Pobeda and the cruisers Diana, Pallada andBogatyr. She arrived at Port Arthur (now Lüshunkou) China on 4 May 1903. She was present at the Battle of Port Arthur where she was torpedoed by Japanese destroyers and grounded, five men were killed. She was repaired and took part in the Battle of the Yellow Sea, where she was hit by 18 shells and suffered 6 dead and 43 wounded. She was subsequently trapped in Port Arthur and sunk at her moorings by numerous howitzer shells on 6 December 1904, during the Siege of Port Arthur. Retvizan was raised by the Japanese and repaired at Sasebo between 1906 and 1908. Renamed Hizen, she served in the Imperial Japanese Navy during World War I, in which she took part in the hunt for the cruiser squadron of Maximilian von Spee and in the Japanese intervention in the Russian Civil War. She was retired as a result of the Washington Naval Treaty in 1923 and sunk as a target ship in the Bungo straits on 12 July 1924.